When The Princeton Review’s selection of 100 Best Value Colleges was published earlier this year, USA Today journalist Mary Beth Marklein commented in a Feb. 22 article on fluctuations in the list during the past three years, suggesting that, due to the instability of the economy, many colleges are struggling to remain affordable. 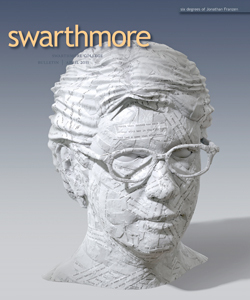 For the third straight year, however, Swarthmore held firm at the top of the list, which comprises 50 public and 50 private schools culled from 700 that were surveyed. Factors weighed were undergraduate academics, costs, and financial aid—plus the percentage of graduating seniors who borrowed from any loan program and the average dollar amount of debt those students had at graduation. Trailing Swarthmore in the private-college rankings were Duke, Princeton, Caltech, Harvard, Wesleyan University (Conn.), Williams, Vanderbilt, Wesleyan College (Ga.), and Yale.